Tax scams continue to top the list of BBB’s Scam Tracker, which, in theory, should raise the level of caution for people who haven’t already filed their tax returns. What’s just as dangerous is rushing to file a return, especially if it’s complicated, because of the number of mistakes that could easily be overlooked that might prompt an audit. However, keep in mind not all tax preparers are created equal, so it’s important to check their qualifications. Ask what certifications they hold, how long they’ve been preparing taxes and what will happen if the Internal Revenue Service rejects or challenges your return. Some tax preparation companies are open for only a few months every year, and it can be hard to track the preparer down if there are problems with your return. This can cause a delay in receiving a refund if you’re entitled to one and if there is a problem with either your return or possibly your identity being compromised, it could complicate the situation even more. 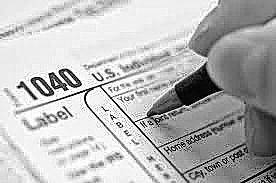 The IRS has issued warnings about online and telephone schemes that can steal taxpayers’ identities. The IRS doesn’t initiate contact with taxpayers by email or phone, and it won’t request personal or financial information or inform you of an audit that way. Some tax preparers may offer a check or debit card rather than wait for the IRS to mail your refund. Beware, that these are typically loans, sometimes with hidden fees and interest rates of 50 to 500 percent. In most cases, these tax refund loans give consumers their refund no more than a few days faster than the IRS, which can deposit refunds in your bank in as few as 10 days. If a preparer makes a mistake in calculating your refund, borrowers may have to pay back the loan plus any fines and fees. Should you decide to hire a tax preparer, ask for referrals from friends, then check them out on bbb.org. Double check the preparer’s credentials and see if they’re a certified public accountant (CPA). Be wary of promises of a large refund, because until the return is completed, there’s not a way to tell if you’re going to receive a refund or exactly how much it will be. Before settling on who will prepare your return, carefully read the contract and understand exactly how much it will cost for the service, if the preparer will represent you in case there is an audit and have them explain any terminology you don’t understand. After the return is done, don’t be shy about double checking the math and ensuring that all of the information is entered correctly.